Some of us experience more adversity and painful events in our lives than others. We wonder why our difficulties don’t happen to the “bad” people out there instead of us. Unfortunately, life is not fair. Awful things happen. Dreadful circumstances or tragedies will affect most of our lives at some point. It’s okay to cry and feel sorry for yourself and your circumstances, mope around, or get angry. But at some point you must shake it off, let go of the past, and choose to not let it consume you entirely. Otherwise, you won’t be able to learn from the experience and move forward in a constructive way. When I was young, I moved from Florida to Minnesota for a new job. I met a guy there and thought I was in love. Then the guy got a new job across the country in Oregon and asked me to move there with him. Thinking I was in love, I got a job transfer as close as possible to his new city (two-and-a-half-hour drive each way) to live with him in his new house. I thought we would get married. A few months later, we broke up. (I bet you saw that coming, right?) I had nowhere to live, no friends in that state, and I was stuck all the way across the country from anyone else I knew. I felt alone, abandoned, and unloved. I was also trapped with no money, as I’d put everything I had into his house. I was a hapless victim of love, and I played my part like Shakespeare had written it for me. I gave in completely to self-pity. I cried in public for the poor cashier at the grocery store. I wore my swollen eyes like a badge of honor. Kind and compassionate coworkers found me a roommate with a twenty-minute commute instead of two and a half hours. They gave me solid proof that I was not alone, not abandoned, and not unloved, yet I refused to be consoled. I allowed self-pity to consume me and held tightly to my belief of being alone and unloved. Poor me, UGH! I’m sure there were other people around me who were also in pain, struggling with homelessness, sickness, financial difficulties, bereavement, worries over children. But I didn’t see them or notice them. I didn’t care about them. I only cared about myself and my broken heart. I fed on my own misery. When I look back on that time, I see how fortunate I was that I didn’t marry that guy, and I am amazed that I didn’t give more consideration to the kind people who helped me. Self-pity also made me less gracious toward my friends. When we fall into the depression of self-pity, we allow it to take control of our lives. We become completely self-absorbed. It is destructive to dwell on negative events and carry that bitterness and resentment forward. When we keep our focus on the hurt, we aren’t focused on taking control of our lives. If we blame negative circumstances for our place in life, we are giving up responsibility and control. We whine and feel sorry for ourselves. We can choose to spread our misery, or we can choose to rise above our circumstances. Self-pity is a form of selfishness. It makes us less aware of the needs and suffering of others. Our own suffering is all we think or care about in our self-absorbed state. 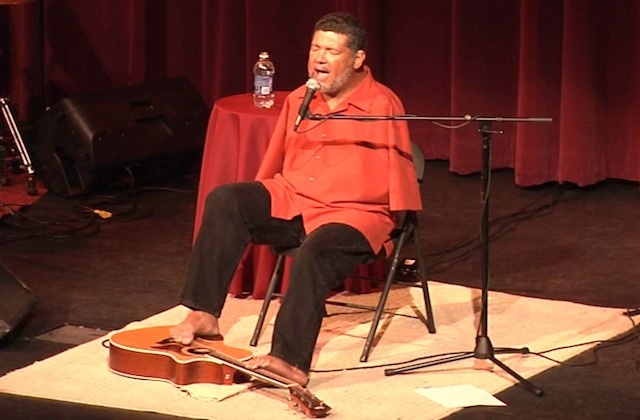 Tony Melendez was born with no arms and a clubfoot. 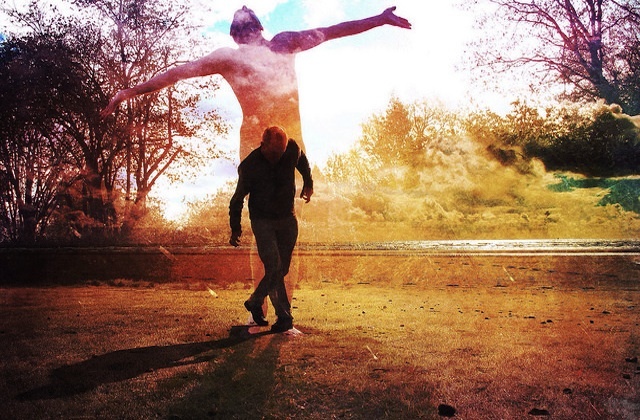 Despite his misfortune, Tony chose to control his own life and happiness. He improved his circumstances as far as he could control them. He made positive choices and took responsibility for his own future. As stated in the biography page of his website, Tony is “a man who has spent his life putting personal confidence above his handicap.” How? By learning to play the guitar with his toes! He began his career in Los Angeles. Tony is a musician and vocalist with several successful albums. He is also a composer, motivational speaker, and writer. Tony took the pope’s words to heart. Tony Melendez Ministries is a non-profit organization that helps people throughout the world, bringing them hope, compassion, scholarships, and other funding. Tony Melendez and the Toe Jam Band have a busy tour schedule. There is no room for self-pity in Tony’s busy life because he does not focus on himself. He unselfishly gives to others he feels are less fortunate. But don’t expect Tony to play at your pity party. He will give you an example to overcome self-pity and inspire you to achieve a wonderful life. You can choose to lift yourself up and enjoy life! You are in charge of your own happiness. It is your personal responsibility. So go ahead and cry and mope and feel sorry for yourself and stay in bed all day. Feel the pain and the hurt. Live your reality and misery. 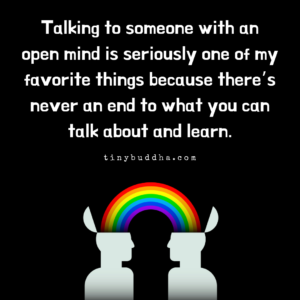 It’s okay and even healthy to do that. But then let it go! Don’t let it consume your life. You are not alone or unloved. Remember there are other people in your life who need you. There are people you haven’t even met yet who need you! You can’t help anyone else if you only see yourself. You cannot change the past, but you can change your future. Deborah Shelby writes inspiration for a happier and better life on her blog http://prayerfulmom.com. She shares ideas for improving your outlook on life, your relationships at home with your kids, at work or in your spiritual life. She is a full-time working mom who enjoys life with her two teens whenever she can.